Pre-pro tin litho advertising tray for Overland Beer from the Crescent Brewing Company of Nampa, ID. 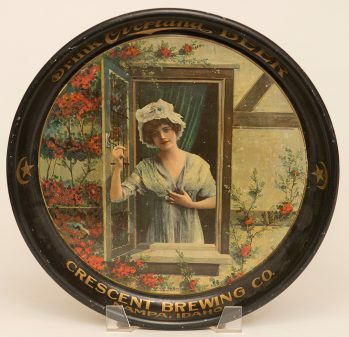 Tray features image of a woman looking out the window. There are some very small spots of litho loss.